Assemble in Jack Evans Boat Harbour Tweed Heads (corner of Boundary and Coral Streets) from 10am. Main Parade will march off at 10.30am. Children’s Parade will march off at 10.35am. 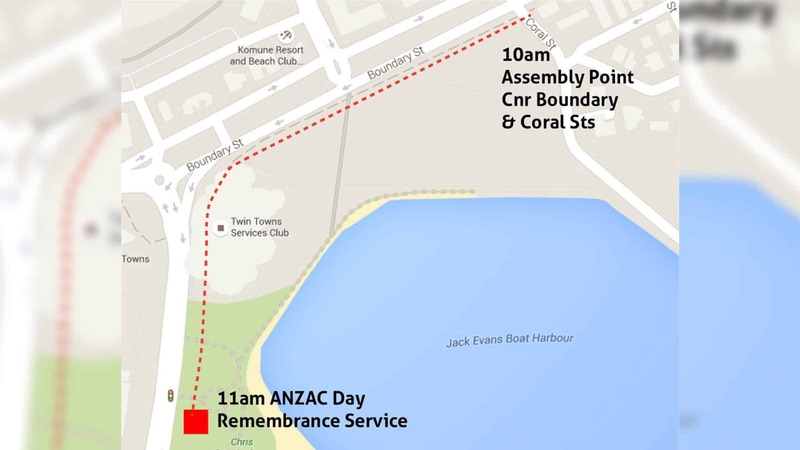 Parade will turn left into Wharf Street, Tweed Heads and proceed to the Memorial at Chris Cunningham Park where the ANZAC Day Service will commence at 11am.